Vaporizer pens look like the e-cigarettes that dispense nicotine. But these devices are optimized for a potent marijuana resin with high concentrations of THC. Nikki Esquibel, 19, has a medical prescription for marijuana. She uses a vaporizer pen around her neighborhood in Los Angeles. Vaporizer pens use marijuana concentrates, or "hash oil" — a viscous, yellow resin chemically extracted from the plant. It's a sunny afternoon at Kelly's Collective, a medical marijuana dispensary in Los Angeles, and Nikki Esquibel is getting stoned. But you wouldn't know it. The 19-year-old, who has a medical prescription for marijuana, is "smoking" pot with a handheld vaporizer, or a vape pen. It's sleek, black, and virtually indistinguishable from a high-end e-cigarette. That's the point, says Esquibel. "I use it mostly around my neighborhood. It's easy to hide." The vapor coming from the device doesn't even have much of an odor. Discretion, it turns out, makes for good money. While e-cigarettes have been grabbing the headlines, the vape pen industry has been quietly ballooning. And it's reshaping the business and culture of marijuana. The latest versions of e-cigarettes contain a battery-powered heating element that vaporizes a liquid containing nicotine. Vape pens for pot use the same mechanism, but the devices are optimized to vaporize the active molecules in concentrated marijuana oils, not nicotine. And just as with e-cigs, there's no fire or smoke. Pot users are flocking to the pens: One out of three reviews on Leafly, the Yelp of the pot world, is about vaping marijuana. The pen doesn't carry the stigma or notoriety of a bong or joint, says Todd Mitchem, an executive at O.pen Vape, which sells its products on the West Coast and in Colorado. "We are getting people buying vape pens who wouldn't normally come into a [marijuana] dispensary," he tells Shots. "Now, all of a sudden, they have an alternative [to smoking pot]," he adds. Two years ago, Chris Folkerts was selling vape pens out of the trunk of his car. Today his company, Grenco Science, has 6,000 square feet of prime real estate in central Los Angeles. "You could never get your mom to hit a bong," he says. "But your mom would potentially hit a G Pen. My mom did. My grandmother did too! And I have god-fearing Christian grandparents from the Midwest. When they tried it, I knew I was on to something." Most vape pens don't actually vaporize the marijuana plant. 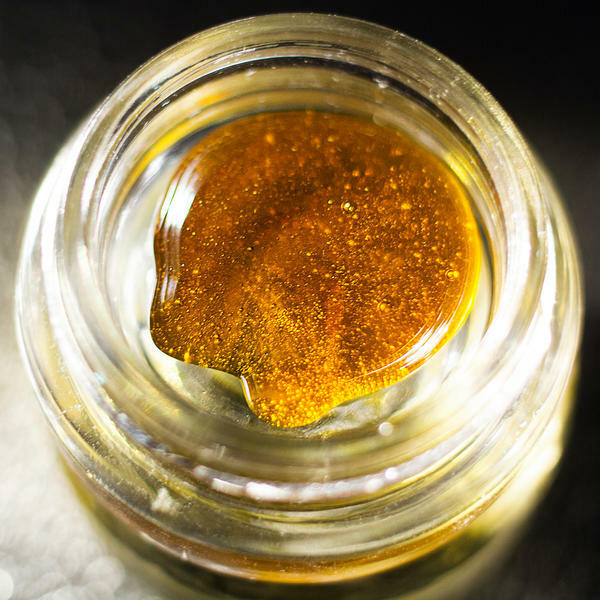 They're loaded with marijuana concentrates, or "hash oil": a viscous, yellow resin chemically extracted from the plant. In many places, that extraction often occurs in somebody's kitchen — which can be explosive and dangerous. And the concentrates can be strong. Really, really strong. Marijuana flowers can contain up to about 20 percent THC, the psychoactive chemical that makes you feel high. But the concentrates can contain up to 90 percent THC. Esquibel says she almost fainted when she took her first hit. Those high THC levels worry Allen St. Pierre, executive director of the National Organization to Reform Marijuana Laws, a nonprofit lobbying group working to broadly legalize marijuana use. "Between the fact that you can potentially pass out with a single inhalation, or you can have such property damage and potential bodily harm just producing it ... these [issues of the vape pen] definitely need to be addressed," he says. "This is a screaming call for regulation if there ever was one." Most states, such as California, that allow the sale and use of medical marijuana don't have rules on the books about marijuana concentrates or about vaping the substance. California is considering a ban on concentrates, while Colorado and Washington allow them. The sale and use of vape pens is legal in every state. And what about the health effects of vaping pot compared with smoking it? "The problem is that, right now, it's hard to tell how much [THC] you are actually getting when you take a puff of one of these things," says Mark Kleiman, who studies marijuana laws and policies at the University of California, Los Angeles. "The risk of getting wrecked is a lot higher." And given that the output of vape pens doesn't have the telltale marijuana smell, Kleiman is also concerned about what the rising popularity of the devices means for parents and teachers. "For them this will be a nightmare," he tells Shots. "If I am running a school or a house and I have a nose, I can tell if my kids are smoking pot. But if they're using a vape pen, forget about it." All right. Let's talk about something called vape pens. They look just like e-cigarettes but they are for vaporizing marijuana. They are smoke free, mostly odorless and they've become very popular among marijuana users. One problem with the vape pen, it can be hard to know just how strong the effect will be when someone puffs from it. MILES BRYAN, BYLINE: It's a hot, windy afternoon outside the 420 Treehouse Medical Marijuana Lounge in Los Angeles. And Aggie Karmelita and Cesar Perez are getting stoned. AGGIE KARMELITA: I don't know if you are going to be able to hear anything. BRYAN: The vape pen that Karmelita and Perez are sharing doesn't seem like something you would use to get high. It's sleek and black and looks more at home in an Apple Store than a headshop. Karmelita says that's kind of the point. KARMELITA: You know, it's convenient for something to take to like a movie theater or an amusement park or a concert, you know, where you're not necessarily supposed to be smoking a joint or having a pipe or something like that. BRYAN: On the website Leafly, the Yelp of the pot world, one out of three reviews are about vaping marijuana. And while vape pens are discrete, they can also be strong. Like, really strong. Here's Perez. CESAR PEREZ: I tried it about four years ago and it was life changing. BRYAN: Vape pens are usually loaded with hash oil, which can have many times more of the psychoactive chemical THC than the average joint. A battery-powered heating element vaporizes the oil which is then inhaled. Perez says he first tried hash oil with a friend who worked at a pot dispensary. PEREZ: So I go to his shop and he's, like, hey, come here, do you want to try some concentrates? And I am, like, yeah. After taking that hit it felt like I smoked 20 joints. JOHN LOVELL: Hash oil is correctly referred to as the crack cocaine of marijuana. BRYAN: That's John Lovell. He's the spokesperson for the California Narcotic Officers Association, which is supporting a bill here in the Golden State that would ban medical hash oil. Lovell says that the stealthiness of vape pens can be dangerous. LOVELL: When you come up to someone all you see is someone smoking on an e-cigarette. You can put yourself at risk. BRYAN: But not everyone is convinced that a future of vaping marijuana is such a bad thing. MARK KLEIMAN: If we are going to deliver cannabis by lung, it's going to be vaporization, not smoking. BRYAN: Mark Kleiman teaches marijuana policy and law at UCLA. He says that vaping will probably replace smoking marijuana in the long run. But Kleiman says right now, there is a problem. LOVELL: A puff of cannabis is not standard the way a drink is standard, right? If you have had three beers, you know how much alcohol you've had. If you have had three hits, you don't know anything about how much cannabis you've had. BRYAN: Which means, Kleiman says, you might get more stoned than you want to be. BRYAN: Back outside the 420 Treehouse Lounge Perez and Karmelita say that, whether its alcohol or marijuana, its really just about knowing your tolerance. PEREZ: Some people just go all out and take 50 shots, you know. PEREZ: And then some people take one or two shots and then that's how they learn. Some people take one or two hits, and some people just smoke the whole pen, you know. BRYAN: But vaping might not always require such trial and error. Colorado and Washington will both soon require the testing and labeling for potency of all marijuana products. For NPR News I'm Miles Bryan. GREENE: And you're listening to MORNING EDITION from NPR News. Transcript provided by NPR, Copyright NPR.